SEMA 2013: Coyote-Powered ’67 Shelby by Classic Recreations! 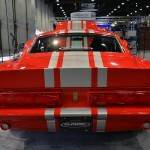 You won`t believe what we saw on this year`s SEMA Show. 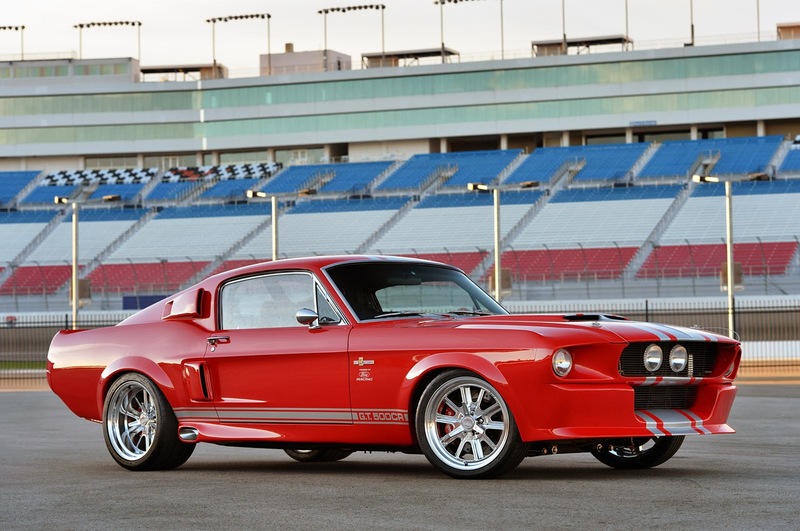 The only official-licensed 67 Shelby Mustang. 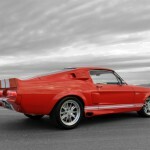 What`s amazing about this Mustang is that it has plenty new high-tech parts. It`s a 545 model. 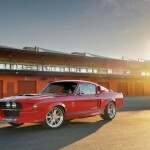 It has some mean GT500CR engine that boosts 490 horses and 429 lb-ft of torque. The whole body was subjected to some serious modifications, which resulted in a quite unique look with a custom red paint. On first sight and on the second as well, is a classic Mustang, with a new 5.0L crate engine and the newest suspension parts. 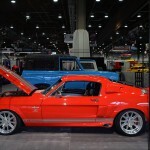 This Mustang has also a brand new Tremec five-speed transmission. The rear wheels are 17×9.5 and the seats are Carroll Shelby rally series 1000 ones. The Classic Recreations team also has a GT500CR 900S model. It`s practically the same as the 545 one, only with a finer bump in power and a 17×11-inch rear wheels. What`s exclusive about this model is its authentic Shelby Le Mans racing gas cap. These models come with official Shelby badges and serial numbers and in various colors. 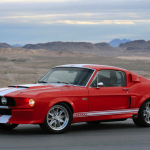 Finally, you must see this Shelby limited edition on this link!